China, Italy looking to strengthen trade, infrastructure ties-Xi - SABC News - Breaking news, special reports, world, business, sport coverage of all South African current events. Africa's news leader. Chinese President Xi Jinping reviews a Honor Guard during a welcoming ceremony upon his arrival for a meeting with his Italian counterpart. Italy and China want to revive the spirit of the ancient Silk Road by deepening their trade and investment ties, Chinese President Xi Jinping said on Friday during a trip to Rome that has raised eyebrows in Washington. Xi is set to sign a deal on Saturday that will see Italy become the first of the Group of Seven major industrialised nations to join China’s giant “Belt and Road” infrastructure project which is inspired by the old trade routes that linked the two nations. 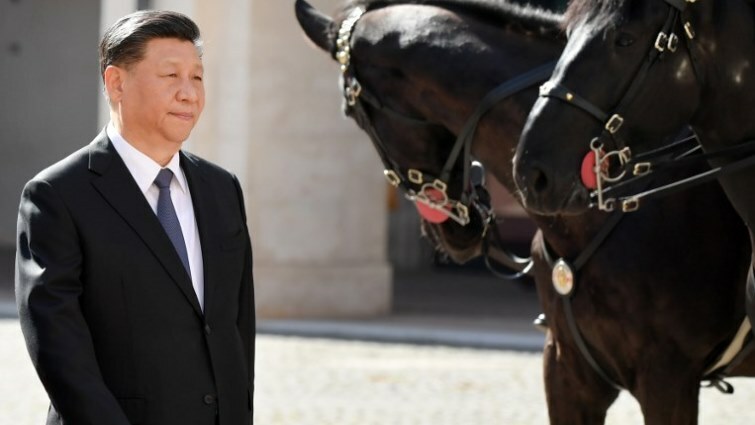 “We want to revitalise the ancient Silk Road in order to better share the fruits of humanity’s progress,” Xi said following talks with Italian President Sergio Mattarella. “We want to strengthen the synergies between our respective development strategies to enhance cooperation in the infrastructure, port, logistics and maritime transport sectors in order to build a series of concrete projects along the Silk Road,” he added, speaking through a translator. Besides the Belt and Road initiative, various deals worth up to 7 billion euros ($7.9 billion) are expected to be agreed in an array of sectors, including accords opening up the northern ports of Trieste and Genoa to Chinese containers. In a sign of the improved ties, the Bank of China said on Friday that Italian state lender Cassa Depositi e Prestiti (CDP)would be allowed to sell so-called “Panda” bonds to investors in mainland China another first for a G7 member. This entry was posted on 22 Mar 2019,05:33PM at 5:33 PM and is filed under Business, Homepage Latest Stories Slider. You can follow any responses to this entry through the RSS 2.0 feed. Both comments and pings are currently closed.